Manchester City are building on the success of their Abu Dhabi based football schools, by launching a new programme in Dubai. The Premier League champions coach more than 1000 children every week in the capital and will expand the City Football Schools (CFS) footprint this weekend. The CFS coaching team, who all trained and worked previously at the Etihad Campus in Manchester, will deliver football sessions to Dubai’s aspiring footballers at the sporting facilities of the newly opened Brighton College Dubai and its neighbouring school, Dwight School Dubai. To celebrate the launch of City Football Schools Dubai, CFS will be holding free sessions for youngsters aged 3 to 16, on Saturday October 13 from 08:15 to 10.30 and throughout the week from Sunday October 14 to Thursday October 18 from 16.30 to 20.30. Those joining the sessions will be able to get a taste of what it’s like to be a City player, take part in sessions with CFS coaches and hear all about the season ahead. Those attending the free sessions can also sign up to the new season, which will commence on Sunday October 21. 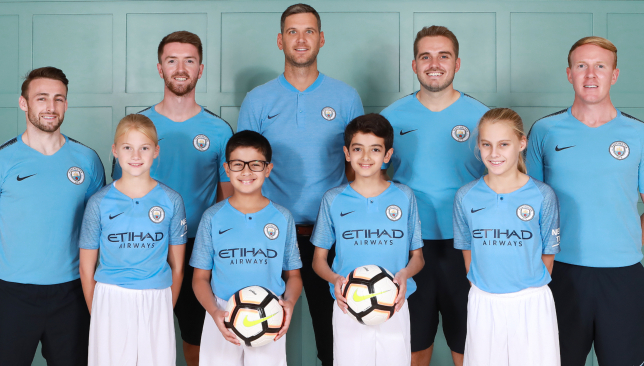 The ethos of City Football Schools is clear – they bring the principles laid out at first-team level to age group sessions, providing players with an opportunity to improve their football skills, stay healthy, make friends and have lots of fun in a positive and friendly learning environment. He added: “From this week we will be running coaching sessions in both Abu Dhabi and Dubai and it shows the determination of Manchester City to always make progress in youth development. For more information or to register, visit uae.cityfootballschools.com, email [email protected] or call +971 56 538 9501. To mark the launch of City Football Schools in Dubai, we are giving away a one-term registration so your child can train for FREE with the City coaches. All you have to do is visit us on Twitter (@sport360) or Facebook (facebook.com/sport360) and answer the simple question to be in with a chance of winning. 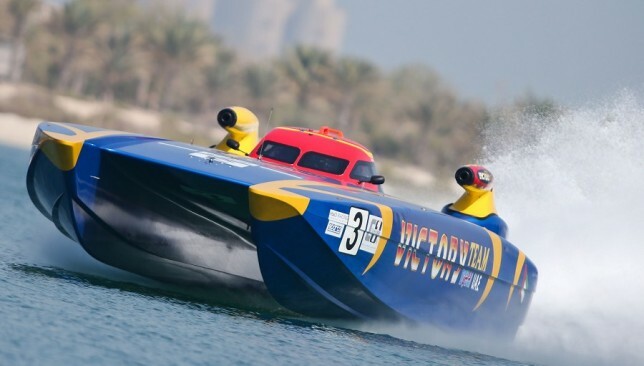 Dubai’s Victory Team will feature a strong two-boat, four-driver debut at this week’s Super Boat International (SBI) race in Clearwater, Florida, as well as the Key West World Championships, to be held between November 4-11. Having been held for more than three decades, the SBI Championship is considered one of the most challenging races for dual-engine powerboats. Victory Team has decided to send two boats for the annual competition. In the first boat will be reigning class one world champions Salem Al Adidi and Gary Ballough, while the Emirati world champion Eisa Al Ali will be paired with John Tomilson. The SBI Championship is the leading North American professional powerboat organisation for class one powerboats. Teams from all around the world have confirmed their participation for the series of races held from May through to October in the National Series Points races. The concluding round is the now famous Key West World Championships. His Excellency Huraiz Bin Huraiz, chairman of Victory Team, spelt out the motives behind their first-time participation in Clearwater. “Firstly, we need to know where we stand in the tough and demanding world of powerboat racing,” Huraiz said before the team left for the US earlier this week. “Victory Team has been world champions in class one powerboating on several occasions, but we felt that we needed to step it up and step out of our comfort zone and see where we stand in a totally different set-up. “No doubt this is a challenge that we feel we can face up to, especially given the talent pool of home-bred drivers and crew. Victory Team have already shipped two of their best boats across to Florida along with their mechanical crew. Victory Team will first compete in the final round of the national championship this weekend (September 28-30) and then in the season-finale in Key West. “Now is the time for the men in blue to set foot on distant lands along with their dreams,” added Huraiz. The challenge is to scale 36 floors. How do you fancy running up 36 flights of stairs? That’s the challenge on offer as the popular Hilton Tower Race returns for a seventh year this month. The annual fundraising challenge will take place on October 20th to raise awareness for the ‘Rashid Centre For Disabled’. 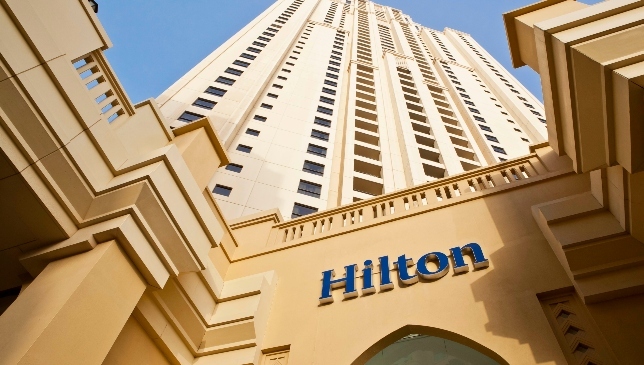 Hilton Dubai The Walk together with Race ME will be hosting the event as contestants run up 730 steps of the JBR The Walk based building, crossing the finish line on the 35th floor. Those who complete the challenge are met with unparalleled views of the Arabian Gulf and a post-event celebration at the hotel’s well-known rooftop bar and dining venue, Pure Sky Lounge. As an initiative introduced to raise awareness and funds for charities and causes in need, the Hilton team is working with the ‘Rashid Centre for Disabled’ for the second year in a row, providing much-needed services and support to children within the local community. Created in 1994, Rashid Centre for Disabled serves the purpose of developing children’s abilities to function and learn within their environments, and to develop maximum independence. The race is open to the public, with residents, local businesses and tourists encouraged to participate. Last year’s winning time to beat is three minutes and 46 seconds. The event kicks off at 7:30am and is followed by a healthy breakfast on the 35th floor, once the participants have completed the challenge. The race has a number of sponsors onboard who have been supporting the initiative for years. They include: GreenParking, the only parking company in the Middle East that represents a one-stop-shop for all parking oriented products, services and solutions; Precor, a worldwide industry leader in exercise equipment, providing state-of-the-art fitness gear to health clubs, hotels, spas, fitness centers, and private homes all over the world; AIG, one of the leading insurance companies in the world; AGMC, the official BMW Group importer for Dubai, Sharjah and the Northern Emirates; and TEC, one of the top event management company and event planning agencies in the region. To register for the run, please click here.